The British newspaper opined that Mr. Leung, with his fiery rhetoric and raggedy hairdo, is nothing more than an attention-grabbing troublemaker, and that by voting a clown into the Legco Hong Kong citizens must not have taken the election seriously. The article led me to two thoughts. First, whoever wrote it didn’t have a very good grasp of our political reality. 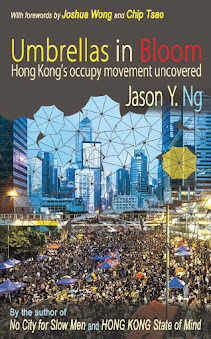 Hong Kong has one of the most undemocratic legislative systems in the civilized world. Among the many anomalies, there is a political invention called the “functional constituencies” (功能議席) who take up half of the Legco’s 70 seats. Under the current rules, any government-proposed bill requires a simple majority from the 70 seats voting together. Bills introduced by individual lawmakers, on the other hand, are subject to the logic-defying “separate vote count” (分組點票) procedure and must secure a majority of votes from both the functional seats and the non-functional seats voting separately. Since none of the functional constituencies is democratically elected (they are picked by a small circle of voters within a trade or interest group) and nearly all of them are pro-establishment businessmen, you can see how the rules are custom-made to block any proposal made by the opposition, such as a motion to investigate C.Y. 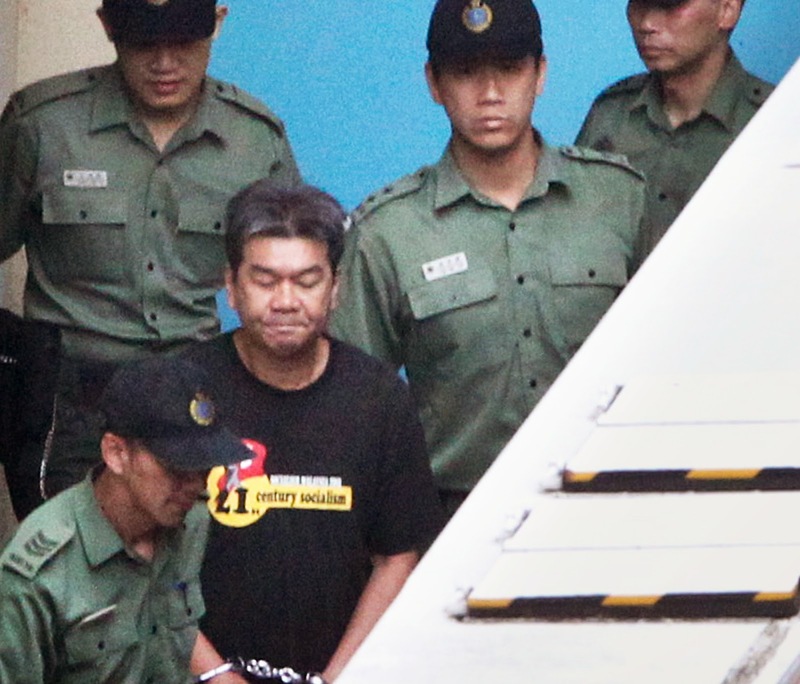 Leung’s corruption allegations. What does this have to do with Long Hair? Pretty much everything. Our dysfunctional political system means that being a “moderate” Pan-democrat such as a member of the Civic Party (公民黨) or the Democrats (民主黨) is about as useful as a knife without a blade. 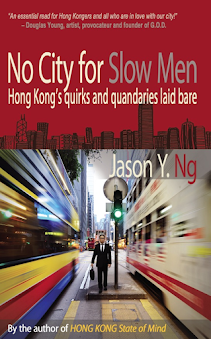 Wagging their fingers at the government on the Legco floor may make these goody-two-shoes politicians look like people’s heroes on the evening news, but it does nothing to change the status quo. In other words, if the poker game is rigged, the player will only keep losing if he continues to play by the rules, no matter how hard he racks his brain. 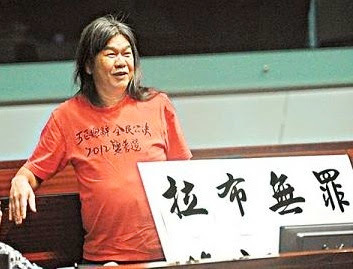 That’s exactly what Long Hair and his so-called “radical” friends like Raymond Wong (黃毓民) and the folks from People Power (人民力量) refuse to do: play by the rules and lose game after game. They understand that as long as the playing field remains lopsided, they need to think and play outside the box. And so these rebel fighters organize mass protests, stage days-long filibusters and come up with innovative campaigns like the de facto referendum. Their efforts have yielded real results, often by raising enough stink to tip the balance of public opinion and forcing the government to back down from a bad bill. What's more, their shenanigans highlight the unfairness of our twisted political system and, in the process, inspire citizens to be interested and get involved. 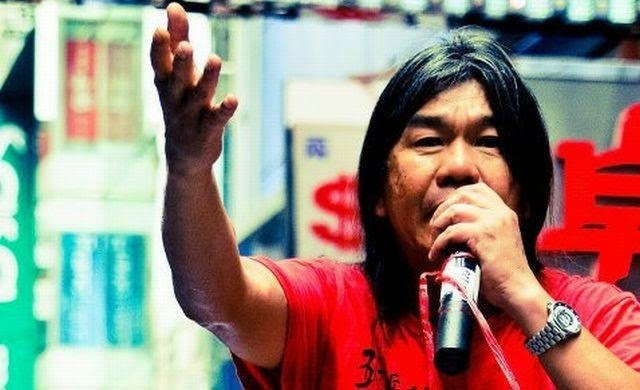 In their relatively young political careers, Long Hair and his comrades have managed to accomplish more than the rest of the Pan-democrats have done in the 17 years since the Handover. My second thought after reading The Economist article is more depressing: if a world-class newspaper doesn’t get our system, what chance does an average tabloid-reading, soap-opera-watching, politics-averse Hong Konger have? Indeed, ask anyone on the street and he will likely describe Long Hair and his likes as extreme, belligerent and irrational. Their good work is written off as destructive and counter-productive. After all, images of these firebrand lawmakers throwing bananas at the chief executive or shoving paper coffins into the faces of cabinet members make a far deeper impression than what they try to achieve and why they have to do it in the first place. Whenever the dinner conversation turns political, I find myself defending Long Hair and his allies. In a city where Confucian ethics still inform our value judgment, social propriety is placed above all other priorities. We tend to reward the well-mannered villains and penalize the unruly heroes. That means no matter how hard Long Hair fights for his good causes, from a universal retirement scheme to universal suffrage in 2017, and no matter how much he is holding C.Y. 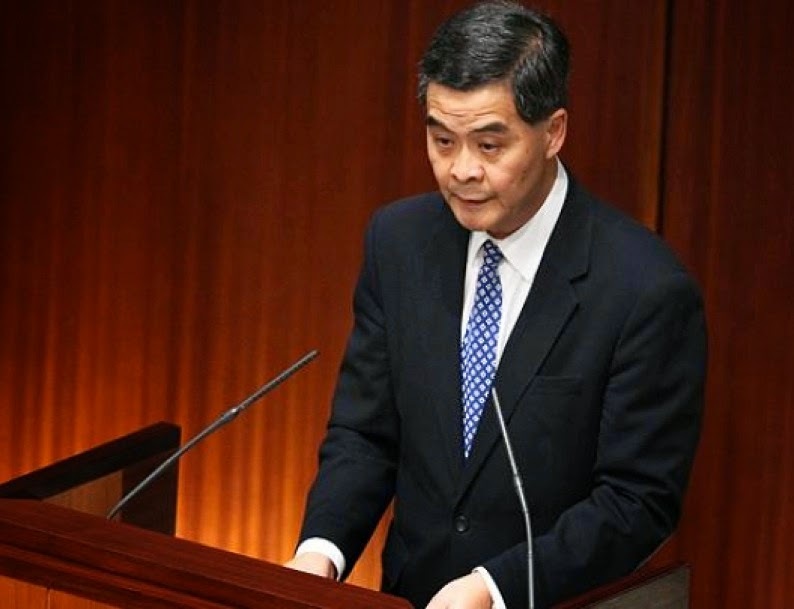 Leung to task and keeping him and his minions on their toes, he will only be remembered for his untoward antics. Apropos, this past Monday an appellant court upheld Long Hair’s conviction for “behaving in a disorderly manner” during a public debate in 2011. He was immediately taken to his prison cell to serve a four-week sentence. A day later, his trademark locks were cut, rendering the recognizable lawmaker unrecognizable. Many people I know applauded the turn of events as a wayward politician's just desert for being a nuisance to society and setting a bad example for our children. So I once again found myself defending Long Hair, except this time I was able to point to an altogether different reason why we should be grateful for having him around: Long Hair goes to prison so we don’t have to. Whereas most moderate Pan-democrats treat their political careers like, well, a career and squirm at the first sign of personal ruin, Long Hair treats it as a religious duty and is prepared to go all out and lose it all. 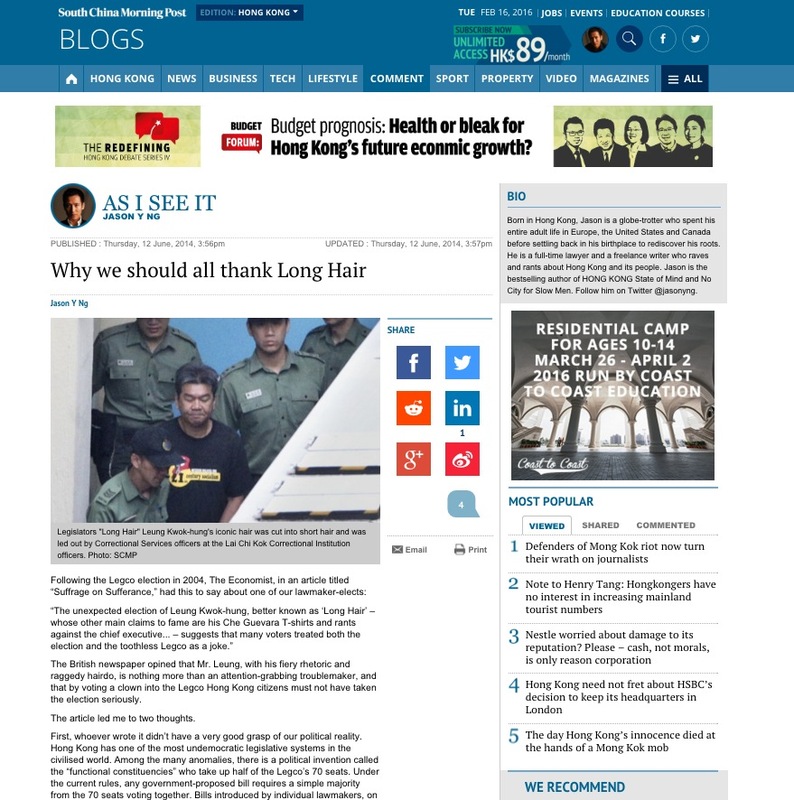 As the city’s political future comes to a critical juncture – just two days ago, Beijing released a surprisingly blunt white paper asserting its total control over Hong Kong to intimidate the Occupy Central movement – we need people like Long Hair more than ever.